Program has Reached Educators in 55 U.S. School Districts in First Year; Digital Content for Educators used in all 50 States and D.C.
NEW YORK, NY | SILVER SPRING, MD, November 27, 2018 – Tata Consultancy Services, (TCS), (BSE: 532540, NSE: TCS) a leading global IT services, consulting and business solutions organization, and Discovery Education, the leading provider of digital education content and professional development for K-12 classrooms, have far surpassed joint goals for the first year of Ignite My Future in School (IMFIS). During the 2017-2018 school year, IMFIS reached 5,100 teachers and 300,000 students, gaining strong momentum against a five-year vision to engage 20,000 teachers and one million students. IMFIS empowers educators using a first-of-its-kind approach to integrate computational thinking and problem solving into core subjects such as math, science or the arts. Launched in the Fall of 2017, this pioneering transdisciplinary approach has provided educators in 55 school districts with free in-person professional development on computational thinking, aligned to standards and built on the K-12 Computer Science Framework. Early adopter school districts include the District of Columbia, Maryland, Virginia, Texas, Pennsylvania, Wisconsin, New York, Georgia, North Carolina, Michigan and California. Teachers who received professional development instruct a variety of subjects, including English language, arts, social studies, science, mathematics, physical education, and theater. Almost 99 percent of educators who participated felt ready to incorporate an element of computational thinking in their classroom, while 45 educators have stepped up to become Learning Leaders for their district and community, deepening the engagement and impact of the program. IMFIS has also engaged parents, guardians and other stakeholders through Community Nights, where they experienced the power of the lesson plans through hands-on exercises like Decoding DNA, Recycle and Reuse! and Drop the Beat. Educators from all 50 U.S. states and D.C have made use of the open source, standards-aligned resources on the IMFIS digital platform. This includes 40 lessons plans, four curriculum connectors, educator guides, three career vignettes, and K-12 computational thinking resources. To date, participating educators have obtained more than 575 micro-certifications through completion of the self-paced, e-learning modules for the eight computational thinking strategies. The top five states where the IMFIS lesson plans have been used are California, New York, Texas, Florida, and North Carolina, and the top three lesson plans used are Build A Movement, Outbreak and Celebrate Together. “The early success of IMFIS represents a paradigm shift in democratizing access to computational thinking for students early on in their learning journey. Our district partnerships help to customize program implementations based on community needs, enabling educators to impart 21st century skills in an equitable manner. Finally, our transdisciplinary approach is inclusive, empowering educators to integrate computational thinking across any subject, any district, and any standards,” said Balaji Ganapathy, Head of Workforce Effectiveness, TCS. TCS is a long-time supporter of national efforts like CSForAll and regional ones like Computer Science for All NYC Students (CSNYC) that have helped to drive much needed momentum for computer science by creating policies, standards, certifications, teacher training, and teacher recruitment. IMFIS supplements these efforts by expanding opportunities for students, educators and districts to learn and teach foundational computational thinking techniques, such as collecting and analyzing data, finding patterns, deconstructing problems, abstraction, building models, and developing algorithms. 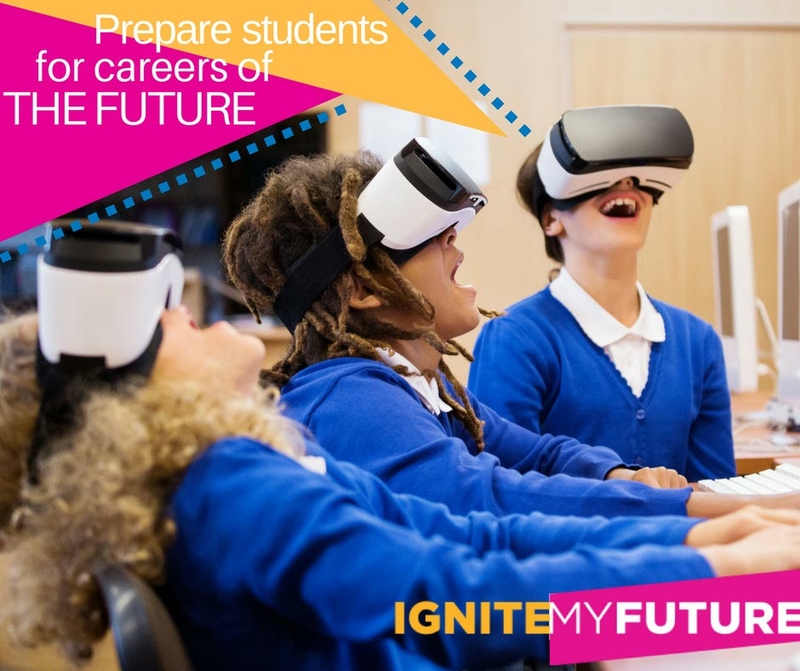 In August 2018, IMFIS also launched the TCS Ignite Innovation Student Challenge, inspiring students to use these techniques to pressing problems encountered in their communities. Winners of the challenge will earn scholarships totaling $20,000, virtual mentorships with TCS employees and the opportunity to work with TCS to bring their idea to life. In its second school year, IMFIS is poised to launch in more districts within the U.S., as well as make a foray into other countries. Educators will receive more resources to help envision how the lesson plans can be brought to life within a classroom setting. Learning Leaders will share their experiences with educators and help more school districts adopt the pioneering transdisciplinary approach. The program will continue to incorporate various teaching innovations, as well as develop computational thinking as a discipline alongside institutions of higher education. Furthermore, TCS is engaging lawmakers to recognize computational thinking as part of the Every Student Succeeds Act, which governs the U.S. K-12 public education policy. A part of the Tata group, India’s largest multinational business group, TCS has over 411,000 of the world’s best-trained consultants in 46 countries. The company generated consolidated revenues of US $19.09 billion in the fiscal year ended March 31, 2018, and is listed on the BSE (formerly Bombay Stock Exchange) and the NSE (National Stock Exchange) in India. TCS’ proactive stance on climate change and award winning work with communities across the world have earned it a place in leading sustainability indices such as the Dow Jones Sustainability Index (DJSI), MSCI Global Sustainability Index and the FTSE4Good Emerging Index. For more information, visit us at www.tcs.com. To stay up-to-date on TCS news in North America, follow @TCS_NA. For TCS global news, follow @TCS_News. As the global leader in standards-based digital content for K-12 classrooms worldwide, Discovery Education is transforming teaching and learning with award-winning digital textbooks, multimedia content, professional learning, and the largest professional learning community of its kind. Serving 4.5 million educators and over 50 million students, Discovery Education’s services are available in approximately half of U.S. classrooms, 50 percent of all primary schools in the UK, and more than 50 countries around the globe. Inspired by the global media company Discovery, Inc., Discovery Education partners with districts, states, and like-minded organizations to captivate students, empower teachers, and transform classrooms with customized solutions that increase academic achievement. Explore the future of education at DiscoveryEducation.com. Stay connected with Discovery Education on Facebook, Twitter and Instagram @DiscoveryEd.